Bloomfield House Hotel is located on a looped cycling route around Mullingar. The hotel is also within a 5 minute cycle of the new Galway to Dublin Greenway Cycleway and the Westmeath Royal Canal Greenway and nearby to the new Royal Canal Blueway. Enjoy the fresh air, peace and tranquility. Take in the views of Lough Ennell, relax at Lilliput amenity area or visit Belvedere House & Gardens. Check out whats on offer below. Blueways offer a scenic perspective into the heart of Irish landscape, allowing activity-filled exploration of Ireland's inland waterways and hinterlands. 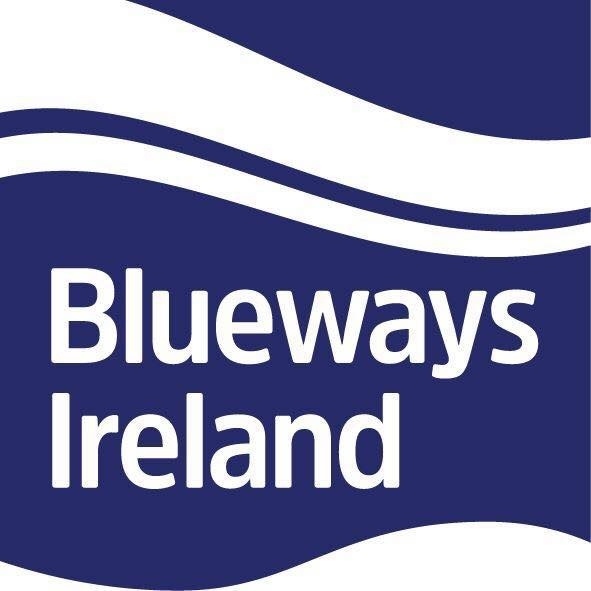 The Royal Canal Blueway forms part of a network of Blueways in Ireland, providing innovative, safe and easy to use water and land-based trails. The multi-activity trails along the Blueways provide a scenic perspective into the heart of the Irish landscape. Located in Mullingar Harbour, the Activity Zone is the ideal location to begin your Blueway adventure. Hire a bike from Mullingar Bike Hire or make a splash out on the water with Outdoor Sports. The zone also offers toilet, parking, shower and changing facilites to adventure seekers. Enjoy a guided cycle spin from Mullingar to Castletown Geoghegan with stories, games and ice-cream stop along the route. Rob, your guide, has many years of experience as Group Leader in the local cycling club and is a big advocate for the physical and mental benefits of cycling. He is also an amateur local historian, with great storeis and folklore to share. In Rob's company, you are guaranteed to enjoy discovering Westmeath on an unforgettable cycle through an undiscovered country of quiet roads! Tours run Saturdays and Sundays in July & August at 10.30am and 2.00pm. Midland Cycling Tours can arrange to pick you up from the hotel. The Mullingar (West) to Garrycastle (Athlone East) section of the Galway to Dublin Cycleway is located on a disused railway line which ceased passenger services between Mullingar and Athlone in the early 1980s. The Cycleway reopens this direct link between two towns by providing a 3m wide 40km long Cycleway. Visitors to Bloomfield House can join the Cycleway approximately 3km from the Hotel. Westmeath County Council in cooperation with Waterways Ireland have developed 32.3km length of the royal canal towpath as a walking & cycling route. The route provides the necessary safe, off road cycling & walking infrastructure that will encourage and promote increased cycling and walking activity in Westmeath. The cycle track is a great attraction for cyclists, families and tourists alike. The route is rated as ‘Easy’ and suitable for ‘Infrequent Cyclists’. Bicycle hire is available locally from Outdoor Escapes situated at The Parkway, Mullingar, which sits within 100m of the Greenway, the Royal Canal Way, the Westmeath Way, and other cycle routes. They cater for all the family with Mens & Ladies bikes, electirc bikes, bike trailers and tag along bikes all available to hire. Further details here. Bike Storage is available at the Hotel on request.